From labyrinthine alleys to eclectic architectural styles, there’s no place in the world like Venice, one of Italy’s greatest treasures. 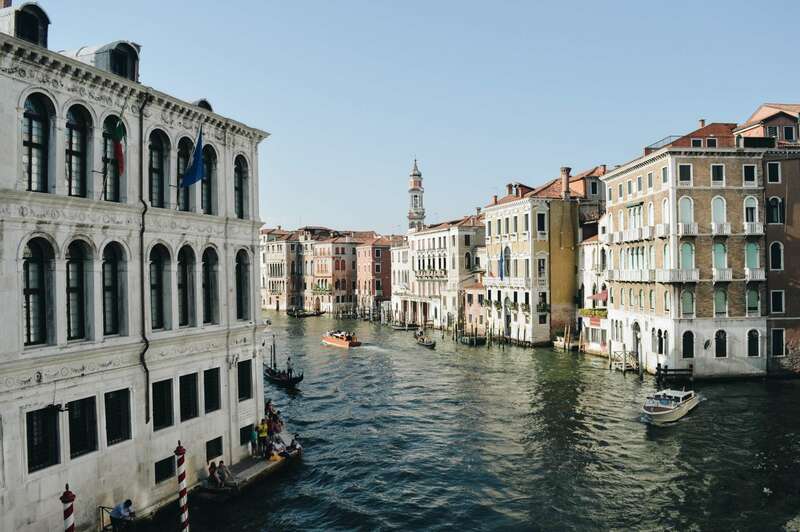 Inseparable from the city itself, the magical canals and waterways of Venice have inspired the musings of Hemingway, Byron, and James, among others. However, with tourism and rising sea levels taking their toll on the city, it’s increasingly difficult to find the real essence of Venice, despite its history as a trading mecca and Renaissance hotbed. Uncover Venice's charms with Context's private and semi-private guided tours. We offer dozens of private and semi-private guided tours of Venice. Our most popular tour in Venice is our Venice Boat Tour, which takes place on a beautiful, wooden private boat, allowing visitors access to less-frequented canals for an immersive escape from the crowds—a truly special experience. Our art tours of Venice are also quite popular. We offer both an Early Renaissance Art Tour and a Titian in Venice Tour, providing two different looks at an artistic hotbed of the Renaissance; the former exploring the relationship between art and history in churches, palaces, and public spaces, and the latter focusing on the impact of one of Venice's artistic titans. Traveling with kids? Our Lion Hunt of Venice with Kids Tour is a great way to introduce kids to history, art, and seeing a place with new eyes.